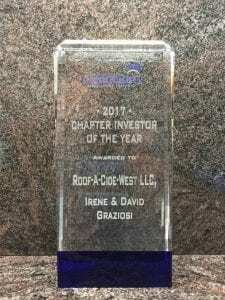 About us, Roof-A-Cide West, Distributors. 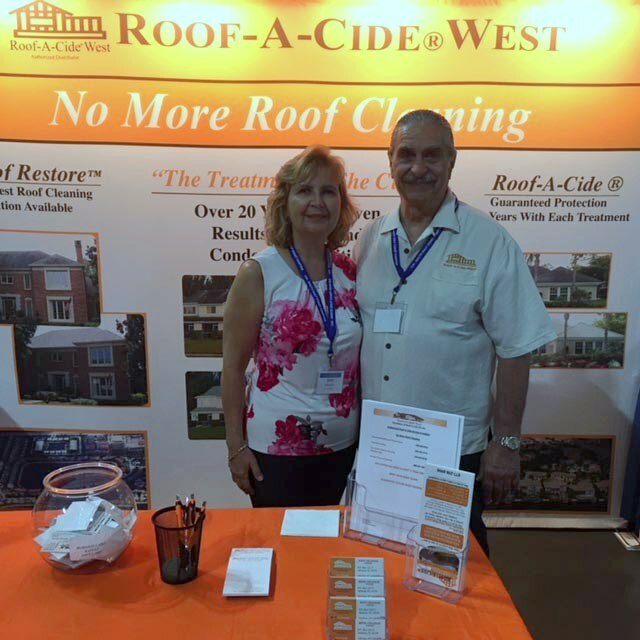 West, Central & Southwest Florida Roof-A-Cide, roof algaecide. About us, Roof-A-Cide® West, LLC., located in Sarasota, Florida. Since 2007, we are the distributors of Roof-A-Cide® and Pro-Teck® brand products, OMRI listed algae control solutions and the industry leaders for more than 25 years. Since 1992, Roof-A-Cide® Treatment is the Only EPA Registered and approved roof treatment solution. US Roofing Manufacturer tested and approved safe. We support our Authorized Roof-A-Cide® Applicators with ongoing marketing and technical training to ensure proper application of all products and customer service. Tune in and learn how Roof-A-Cide® Treatments can keep your community roofs clean. Listen to Community Matters hosted by Cindi Bass on WSRQ Radio 98.9 FM 106.9 FM 1220 AM every Saturday at 11:00 AM. Building Managers International, Collier Chapter – Second Wednesday monthly, CEU Course, 5:30pm Social & Dinner Meeting at the Vanderbilt Country Club, Naples, FL. Building Managers International, Southwest Chapter – Fourth Wednesday monthly, 5:30 pm Dinner Meeting at the Meadows Country Club, Sarasota, FL. CAI Suncoast Chapter – Second Thursday monthly, 7:30 – 9:30am Pinellas County Breakfast Program, CEU Course at the Marriott Hotel 12600 Roosevelt Blvd., St. Petersburg, FL. CAI West Florida Chapter – First Wednesday monthly, 7:30 – 9:00am Breakfast Program. 9:30 – 11:30am CEU Course at the Lakewood Ranch Golf and Country Club, 7650 Legacy Blvd., Lakewood Ranch, FL. CAI South Gulf Coast Chapter – Last Friday monthly, 7:30 – 10:00am Breakfast meeting and CEU Course, at Artichoke & Co. Bonita Bay Road, Bonita Springs, FL. CAI SGCC Charlotte County – First Friday monthly, 7:30 – 10:00am Breakfast meeting and CEU Course at the Village Fish Market Restaurant, Fisherman’s Village, Punta Gorda, Fl. 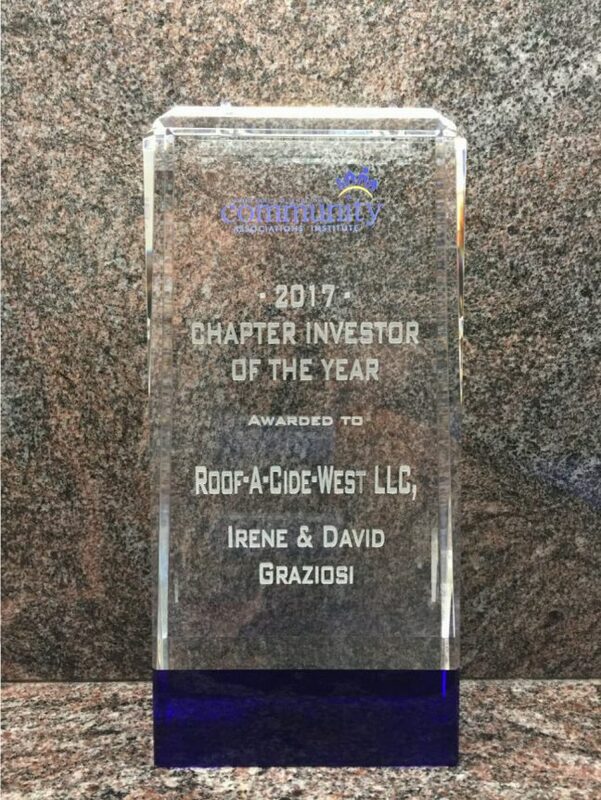 We are honored to be recognized by the CAI South Gulf Coast Chapter at the Holiday Party and Chapter Awards Celebration as “2017 Chapter Investor of the Year”. CAN Community Association Network Group, Sarasota – Last Wednesday monthly, Luncheon meeting 11:30am -1pm at the Sarasota Yacht Club, Sarasota, Fl. Exception: April 2018 meeting will be on the last Friday, April 27th. CAN Community Association Network Group, Bradenton – Second Tuesday monthly, Luncheon meeting 11:30am – 1pm at the Pier 22 Restaurant, Bradenton, FL. COMA Ft. Myers Chapter – Third Tuesday monthly, 4:00pm CEU Course, Networking and Dinner Meeting at the Plantation Country Club, Ft. Myers, FL. 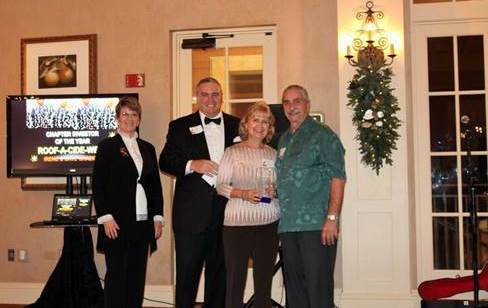 COMA Naples Chapter – Fourth Tuesday monthly, 4:00pm CEU Course, Networking and Dinner Meeting, at the Vineyards Golf and Country Club, Naples, FL.